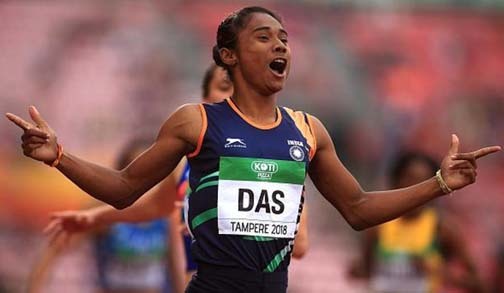 India’s golden girl Hima’s dream run from rice field to international track has proved beyond doubt that the Northeast is the storehouse of sports talents. Hima’s stunning performance might have given all those who love Assam a goose bump. But on the flip side, there is the sad tale that no one can or should overlook. 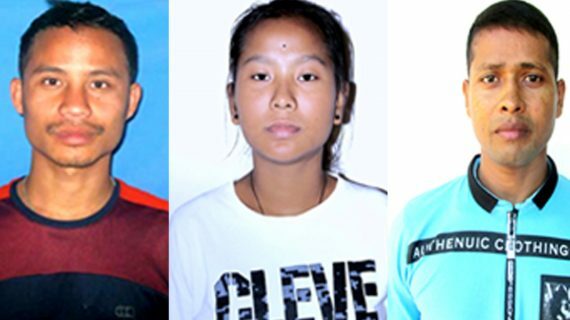 Three Assamese players even after being selected in the Indian team for Asian Games were denied the opportunity to play for the country. Courtesy — Indian Olympic Association and also a lack of comprehensive sports policy of the Assam government. It is a sad commentary that 22-year-old martial art player Nijwam Basumatary, who was selected for the ongoing Asian Games, has to pass his times selling pork at Baksa instead of playing for the country. Two more players from Assam – 18-year-old Pompi Deori of Dholpur in Lakhimpur district and 33-year-old Tanmoy Nath of Tezpur – even after being selected to play pencak silat representing India at the Asiad 2018 were denied the opportunity by the Indian Olympic Association. The moot question is — What did the Assam government do in this regard? Where were the sports honchos of the state? It was on August 15 last year, Assam chief minister Sarbananda Sonowal in his Independence Day address to the people at Khanapara in Guwahati reiterated his aim of turning Guwahati into India’s sporting capital during his tenure. Sonowal was once the sports minister of India. Now since he has taken up the rein of Assam and wants to turn Guwahati into the sports capital of India, he should have at least come forward to give some consolation to these dejected players of the state. Unfortunately, such initiative was not noticed till date. How Sonowal will fulfill his dream into a reality lies in the womb of future but it is surprising that the member secretary of the Assam Government’s Student and Youth Welfare Committee Lakhya Konwar and Assam Olympic Association’s general secretary and Congress leader Rakibul Hussain were not aware of the matter. Surprising, but true. And this speaks volumes about the sorry state of affairs of promoting sports in the state. Nijwam Basumatary (left), Pompi Deori and Tanmoy Nath. It was in December last that the chief minister announced that Assam government would frame a new Sports Policy in consultation with the sports personalities of the state. The Cabinet passed a State Sports Policy which will be formulated to create state-of-the-art sporting infrastructure starting from the block level. Through this sports policy, anyone winning an Olympic medal will receive a cash reward of Rs. 1 crore and employment opportunities in senior level APSC jobs. Sportspersons winning medals at Asian and Commonwealth Games will also be awarded. The old sports policy was framed in February 2011 during the Congress regime. A mere rhetoric of turning Guwahati into the sports hub of the country or announcing schemes will not tap the pool of sports talents of the state. The government should create proper sports infrastructure across the state. It should also formulate a policy to pick up the talents at an early age and train them under good coaches. On this point, the government should also try to focus on selecting good coaches to train the budding sports talents of the state. What the state needs at this juncture is a comprehensive sports policy.